Not only the care of the body is important, but also your health. We have 2 products that helps to support your health. Pure product made from 35 proven herbs. For body care, skin and foot care; for rubbing in, rinsing the mouth, massaging, inhaling and as a bath additive. Lots of possible uses to maintain a healthy body. Refreshing and revitalising. Very good for skin-cleansing facial steam baths. 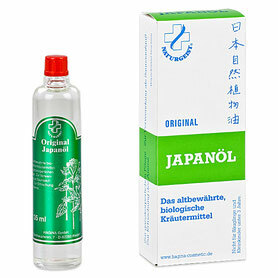 no animal testing, vegans Japan oil for rubbing in muscle and nerve pain. 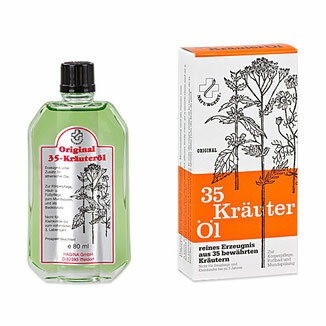 The tried-and-tested organic herbal product for whole-body care. For rubbing in to treat muscle and nerve pain. Cooling and relaxing. Can also be used as a sauna infusion, to inhale or to freshen the breath.